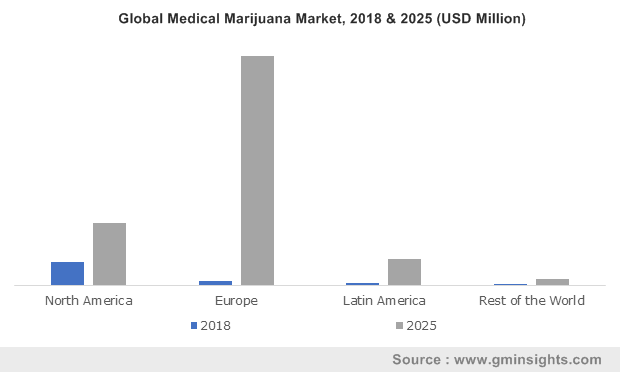 Medical Marijuana Market size is set to exceed USD 55.0 billion by 2024; according to a new research study published by Global Market Insights, Inc. Growing demand for marijuana application in the treatment of chronic pain caused by neurological disorders, cancer, HIV/AIDS, and arthritis will drive the global medical marijuana market growth. Moreover, increasing preference of marihuana over opioid narcotics that cause various side lethal side effects will accelerate medical cannabis demand over the coming years.